The Samsung SPU-400R is a video Receiver that takes UTP videos transmitted from the Samsung SPU-400 over a single Cat5 cable and converts them to 4 BNC connectors for coax cables. 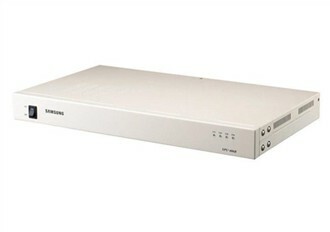 It provides long range power supply up to 900m and supports RJ-45 UTP video inputs. Equipped with a lightning and surge protector and RS-485 video input support it gives quick and easy installation. The Samsung SPU-400R has many exciting features for users of all types. The Samsung SPU-400R is sold as a Brand New Unopened Item.